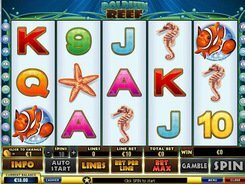 Dolphin Reef will transport you to the charming underwater world where you can find hidden treasures and scoop a grand jackpot of 5000 coins. 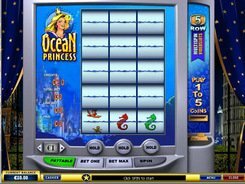 The five-reel twenty-line slot machine from Playtech has sea-themed symbols such as a turtle, a fish, a seahorse, a starfish and other underwater inhabitants. The range of coin values will attract both newcomers and high rollers with the bottom of 1 cent and the top of $5 per coin. 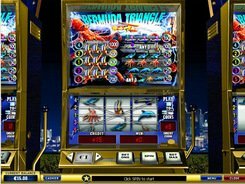 Bonus symbols are endowed with a power to add great money to you bankroll. The dolphin acting as the wild symbol appears on reel 2 and 4 only substituting for other slot icons. 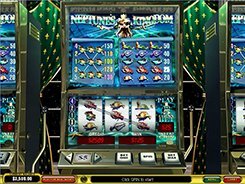 If two dolphins roll up on the screen, they transform into Extending Wilds and launch five free spins. The reels on where the dolphins have landed remain fixed, and the other three reels get in motion free of charge. The treasure chest represents the scatter symbol. Three and more scatters appearing anywhere on the screen pay fixed winnings that amount to x3-x100 times your total bet. 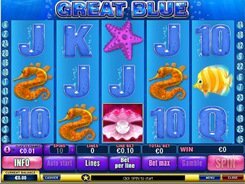 Gamble feature appeals to many slot enthusiasts. After every winning spin, you may opt to take your chance to double your winnings of the main round. Select a black or red color of the facedown card. If you guess it right, you increase your winnings twice (and beyond). PLAY FOR REAL MONEY!